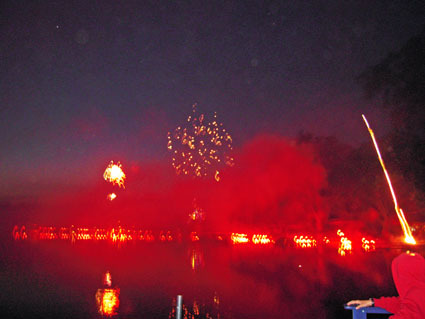 When the kids showed up on our dock to watch the fireworks display, did I serve them fried Daylillies? Krispy Kale? Or, better yet, fennel? NO! They were treated to these wickedly delicious chocolate salted nut squares — and I didn’t even have to turn on my oven to make them. These are even easier to make than no-bake cookies — and taste even better. And they definitely made a spectacular grand finale to the fireworks. 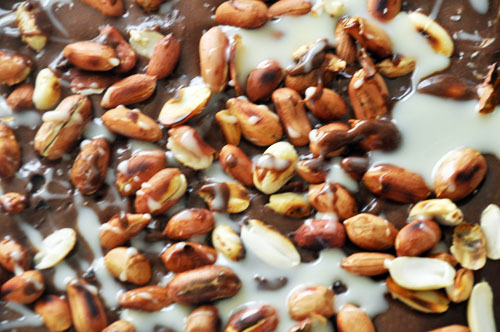 The salted nut square is basically the Payday candy bar — you can find the recipe floating around on Pinterest. However, when I opened my pantry, there were NO absolutely NO peanut butter chips. And, I had no mini marshmallows. Did I just say, “Forget it?” No, I simply needed a serious level of substitutions. First, I swapped out peanut butter chips and replaced them with, what else? CHOCOLATE chips. Then, I substituted those mini marshmallows with that one ingredient no lake house can afford to be without — Campfire Marshmallows. If you can bear it, read through this list of ingredients and just see if you can resist. Throw 1 1/2 cups of peanut in the bottom of a 9x 13 ungreased pan. 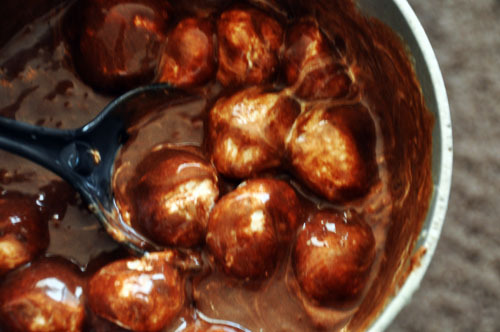 When marshmallows are almost melted down, add chocolate chips and stir until melted. A few chunks are fine. Remove from heat and add the can of condensed milk. 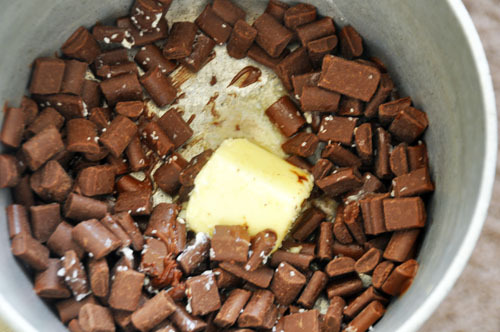 Pour chocolate mixture over peanuts. Sprinkle remaining peanuts on top, and salt taste. Now this next step is EXTREMELY important. Cover with Saran wrap, and HIDE– like under a box of spinach — the candy in your refrigerator until firm. YOu MUST hide these from yourself, or else…. Not sure what the weather is like there but if we would have taken those yummy things outside on the 4th of July, they would have melted all over the place!!! They look delish!! Hope you guys are having a great summer!